The Lawrence Public Library is a public library located in Lawrence, Kansas. It serves the City of Lawrence, and, through its membership in the Northeast Kansas Library System In 2010 Lawrence to expand and renovate the existing library at 707 Vermont Street. It was completed in July 2014. 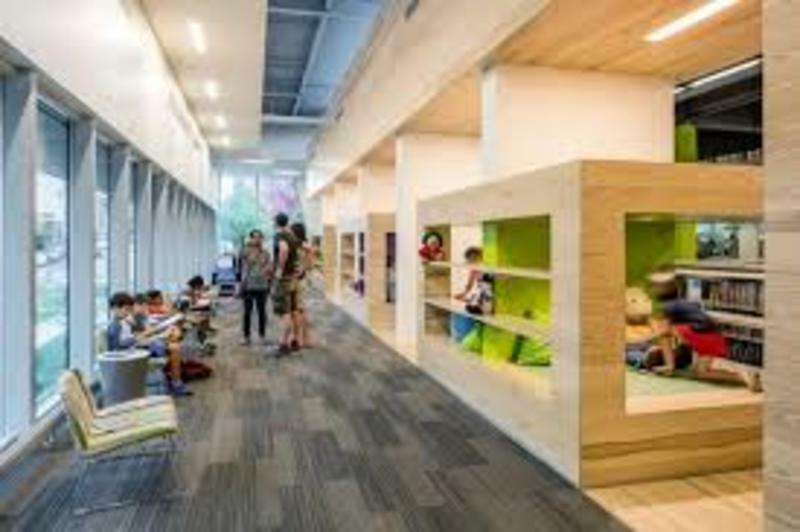 Lawrence Public Library encourages public use of library meeting rooms, to foster the education, amusement, diversion and enjoyment of the community. The Library Auditorium can seat up to 160 people, and is equipped with a projector, screen, and microphones, among additional a/v components. The Meeting Rooms can seat up to 30 people, and are outfitted with 80" flat screens with HDMI & VGA inputs.